The Building America Research Alliance team uses its blend of talents, skills, and expertise to help bridge the gap between building science and building reality. We translate technical information into a format ready for the market, transform existing buildings through sharing of the latest research and expert findings, and transfer the results of our work through real-world examples. General outreach for the Building America program, focused on increasing the adoption of BA research results. This work includes supporting stakeholder and media relationships and connecting the BA technical research results to real-world applications. Technology and program-specific outreach programs, including the Heat Pump Water Heater outreach initiative, focused on piloting strategies to increase the adoption of Building America innovations and an outreach program focused on public housing authorities. Research projects including one focused on evaluating packages of energy measures used in the Home Performance with ENERGY STAR program to determine packages that can easily be used to reach Building America performance targets. Video development about the Building America program, intended to provide a simple overview to a complicated program. The Transforming Existing Buildings through New Media: An Idea Exchange expert meeting, held in Las Vegas, Nev., on September, 13, 2011, brought together several dozen experts in the field of communication, new and traditional media, energy efficiency research and outreach, and remodeling to discuss options and strategies to advance Building America goals through the use of new media. The Cool Energy House project in Windermere, Fla.: This project showcases the most effective strategies to develop and communicate a retrofit demonstration project to feature energy efficiency measures. 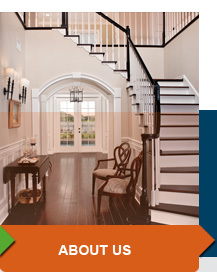 In addition, Cygnus Media (Qualified Remodeler Magazine and associated websites) partnered with BARA to feature the project in a microsite to be promoted to more than 70,000 remodelers before, during, and after IBS. The This Old House Community-Scale Demonstration Project in Las Vegas, Nev.: BARA is partnering with Time, Inc., publishers of This Old House Magazine, to develop a community-scale demonstration program in Las Vegas in which two Building America energy efficient retrofit packages will be piloted. The development of measure guideline (MG) multimedia components and templates to be used for all MGs created in the Building America program in future. This work will allow all MGs created by the program to be consistent in content and visual presentation and will allow a simple translation of introductory components to the Building America website and future cataloguing tools. The development of a comprehensive city outreach plan for mayors to transition existing Building America research into actionable plans to improve the energy efficiency of existing housing in U.S. cities. Together with the United States Conference of Mayors (USCM), BARA is surveying and interviewing mayors to create an outreach roadmap to deploy Building America research through existing distribution channels. The development of a full suite of multimedia training materials for BEopt. Affordable Green Academy: The Academy was created to help developers, designers and builders of affordable housing incorporate green strategies into their every day practices. While there are many useful green building programs, specific, detailed guidance on how to implement green practices within the severely cost-constrained world of affordable housing is less common. California Advanced HERS Training: A unique site, designed not only to provide training to California HERS raters, but to allow raters to have a hand in selecting the training content offered. CEC Code Training: CEC - The purpose of this project is to develop the California Energy Standards Online Learning Center, an educational program for the 2008 Title 24, Part 6, Building Energy Efficiency Standards to improve enforcement efforts and compliance results. Energy Systems Laboratory/Texas Engineering Experiment Station(ESL/TEES) Codes and Energy Efficiency Training: The ESL/TEES learning management system utilizes 2009 IECC training content aimed at a spectrum of specific user learning levels to increase their code knowledge and changes in the code. Gas Technology Institute: Content from California Energy Commission's Advanced Radiant HVAC Systems for California Homes program has been transformed into a series of multi-media presentations hosted in a full feature Learning Management System linked to the CEC homepage. This online material will be used to train architects, builders and contractors for new construction and remodeling. 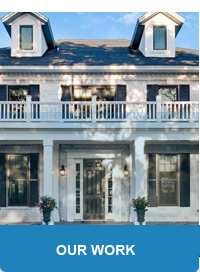 Kentucky Building Energy Code Adoption and Compliance Training: This online learning management system has the objective of rapidly and substantially increasing the understanding of the 2009 IECC, with adopted Kentucky amendments and enhancements. McGraw-Hill Construction Continuing Education Center: McGraw-Hill Construction's Continuing Education Center is an interactive online program that helps architects and specifiers more easily earn AIA Continuing Education learning units. 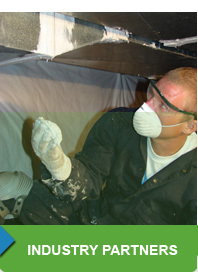 Oakridge WX Assistant: This innovative online training program focuses on two energy modeling tools within Oak Ridge National Laboratories' Weatherization Assistance Program: the National Energy Audit Tool (NEAT) and the Manufactured Home Energy Audit (MHEA). Re-side Tight: This study harnesses the opportunity for improved energy efficiency when homes are being re-sided. Tennessee Code Compliance Training: This site will provide on-line training teaching code requirements and compliance procedures for the residential requirements of the 2006 edition of the IECC with specific Tennessee amendments for the Tennessee Department of Commerce and Insurance. Texas Energy Code Training Center: This site provides information about workshops, online training and other resources to help building industry professionals understand and comply with the 2009 IECC Residential, Commercial and the 2009 IRC; Chapter 11 for single family dwellings. Interactive PNNL checklists and video training on their use are also included. In addition, BARA held extensive meetings with industry partners including meetings with DuPont, U.S. Conference of Mayors, Hanley Wood, Home Energy Magazine, Taunton, Green Home Builder Magazine, BASF, GE, Johns Manville, Metal Roofing Alliance, Structural Insulated Panel Association, Moen, ICC, CEC, and McGraw Hill.